Hello there! Thanksgiving is upon us, now that Halloween is in the past. 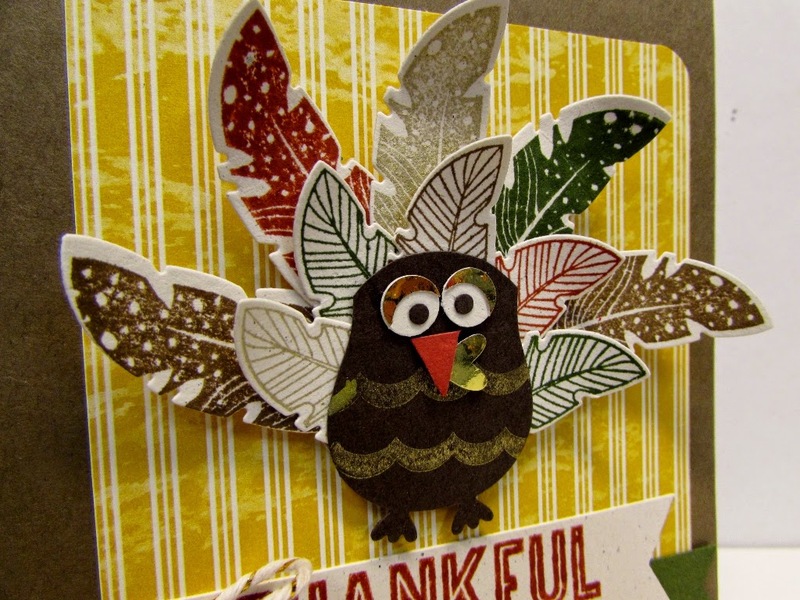 The Pals Paper Arts have a great color challenge this week, just perfect for jump starting your Thanksgiving projects. Grab your provisions and create something fun, link it up by Tuesday, November 11, for your chance to be a Pals Pick! So y'all know that I love to make a turkey card each year, you can see the previous cards HERE and HERE. This year I thought the Four Feathers bundle would be a fun way to update my turkey, of course I had to add gold to really add some shine. The owl builder punch makes a great turkey body just by snipping the ears off, the heart that is included in that punch makes a great waddle. I used gold foil paper for added shine. This is my second try making a turkey using the four feathers bundle, I will share my first try at the end of the post. This Thankful for You stamp was included in the October My Paper Pumpkin kit, it was just what my card needed. Have you tried the new venetian crochet trim? It is soft and delicate and so very pretty. A Gold button and bakers twine ties all of the gold together. It was quite fun trying to come up with a new way to make a different turkey, Tate loves it and proclaimed it "cute". Here is my first turkey that I made, I loved the embossed gold, but it turned out bigger than I anticipated and was too much for the card. I was going for a more elegant looking turkey, and I think this one works that way. I will have to incorporate into a banner or table decoration. So grab your Four Feathers stamp set and matching Feathers framelits dies and create something different than what you might suspect. We have been keeping busy as usual! 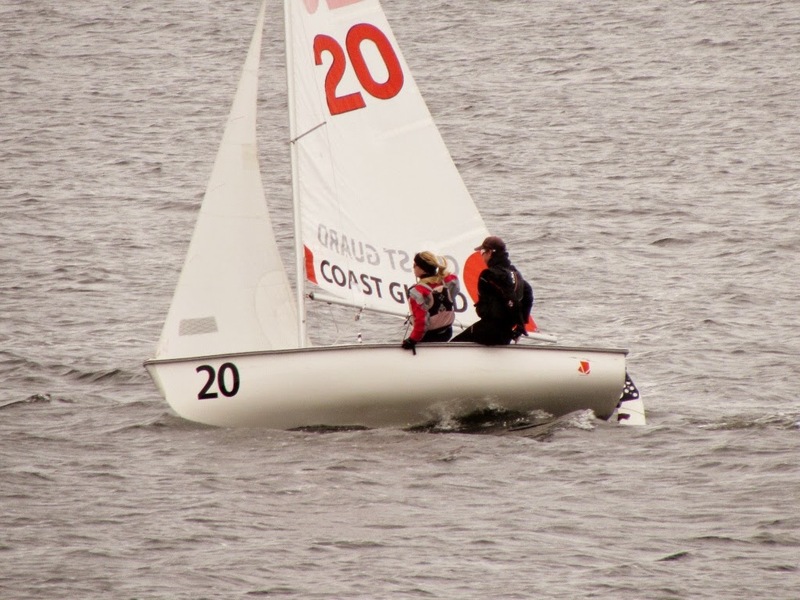 Mackie's high school sailing is in full swing with a regatta a few weeks ago at the Coast Guard Acadamy. 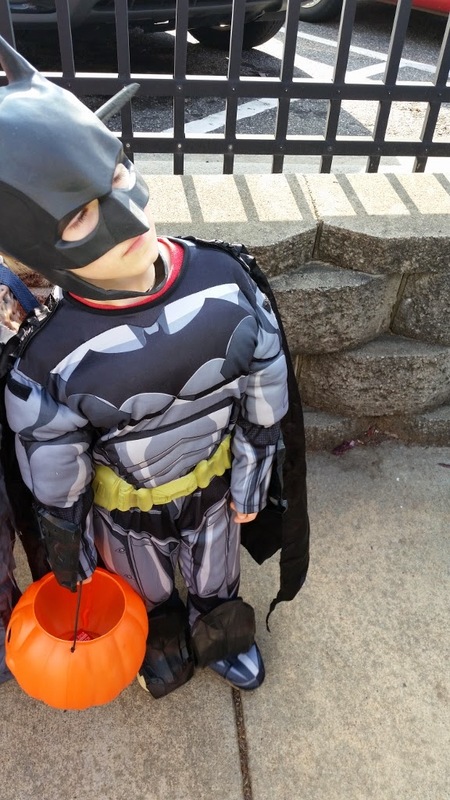 Tate decided on Batman for Halloween, he so loves to trick or treat! I am always Thankful for You, my loyal blog readers, I truly appreicate you. Thanks so much for stopping by, I hope you were inspired, enjoy! This is too darn cute! I am going to make some "turkeys"....thanks for the inspiration! Love it! I just love the eyes on this adorable "turkey-owl". I may have to give him a try! Both birds are beautiful and i like the one rounded corner! 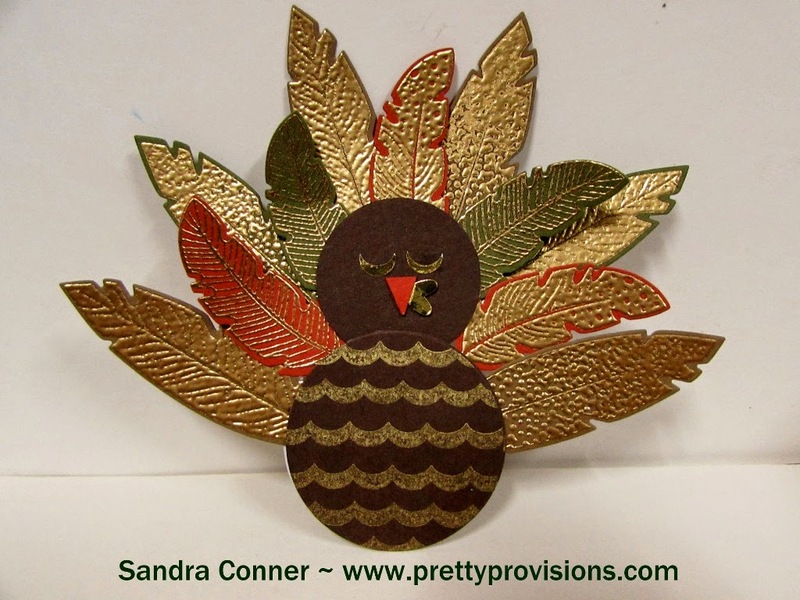 Sandie, I love your Turkey cards! I am pretty certain you were the first to inspire me to do turkeys on a Thanksgiving menu several years ago. This year's bird has very elegant feathers and bling!! Love it! Made me smile! Adorable turkeys - love them both! Too cute and so much fun! Who wouldn't want to get this gobbler in the mail! so, so cute! love those tail feathers. Adorable turkey! Great use of the feathers!